Since ten 10 years ago, many innocent Spaniards are sent to prison every year, most of them good fathers. True. Perverse economic incentives and subsidy culture promote false accusations and imprisonment . True. Law 1/2004 only use has been to take children away from their fathers in divorce cases after false reports. True. Gender based violence is a plague. False. The corruption generated by this law is such there is no description for it. True. How many women have been made evil by that perverse law? How much corruption has it generated? How many innocents have been condemned? 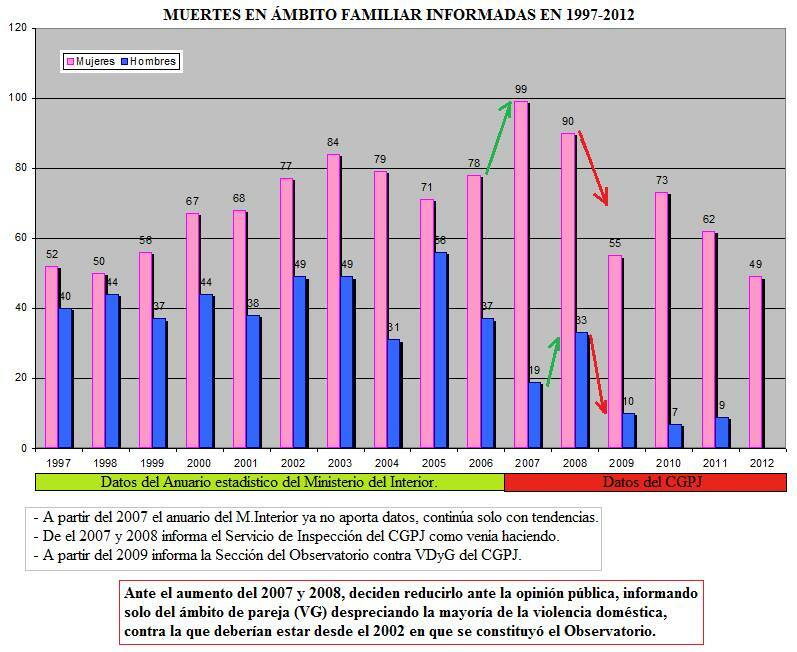 According to Centro Reina Sofía, in the year 2003 Spain was one of the countries in the world with less proportion of murdered women. 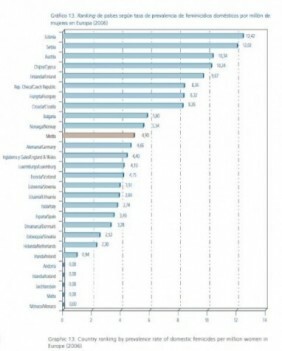 Almost every, supposedly, more advanced country has higher rates. A more modern study, after 1/2004 was passed. 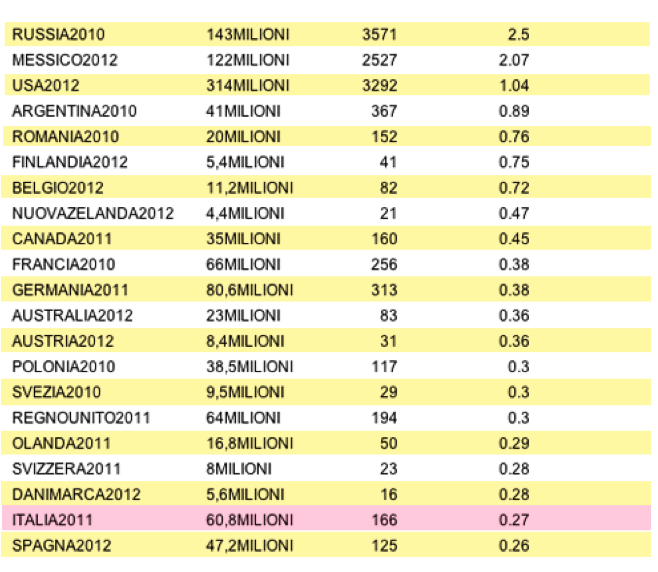 A third study made in Italy between 2010 y 2012 confirms Spain’s exceptional position. Law 1/2004, which cancels the presumption of innocence —a flagrant crime against human rights— has not avoided a single death. Sadly, it continues imprisoning innocents. The numbers before and after its coming into effect are similar. 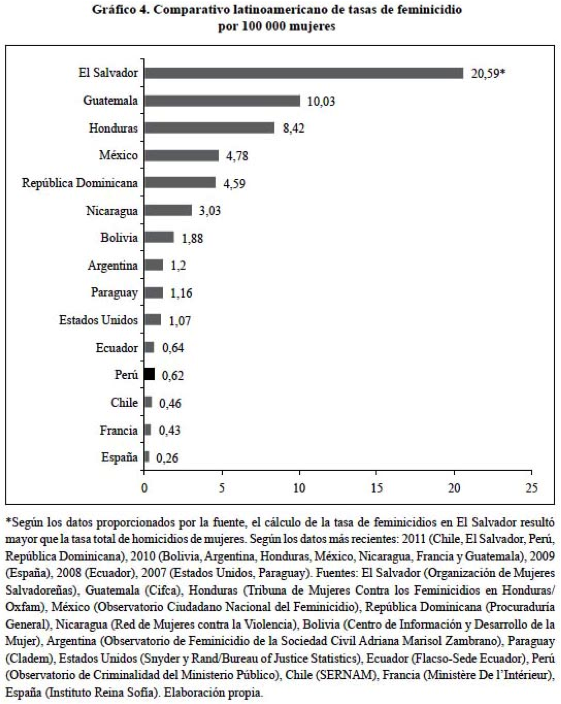 After the passing of that law the number of murdered women has not changed. Reports for ill treatment have gone up dramatically however, and so has imprisonment. The conclusion seems evident. A good part of the reports are supposedly false. Thousands of innocents are imprisoned. Since it came into effect, the CGPJ was in charge of publishing deaths caused by gender based violence. It made up a statistic trick differentiating deaths caused by domestic violence and deaths caused by gender based violence, hiding the first ones. In this way, the numbers published recently are lower than the real ones, presumably showing the success of this law, but hiding, among other things, the number of men murdered by women or including murdered men on the statistics for women, making the latter higher. Untruthful narration of the facts. Reports, mostly false ones, have increased dramatically since the coming into effect of such law. Between 2005 and 2013 1.166.399 crimes and offences have been reported, and 314.875 men have been reported. A symptom of our corruption can be seen in this graphic. 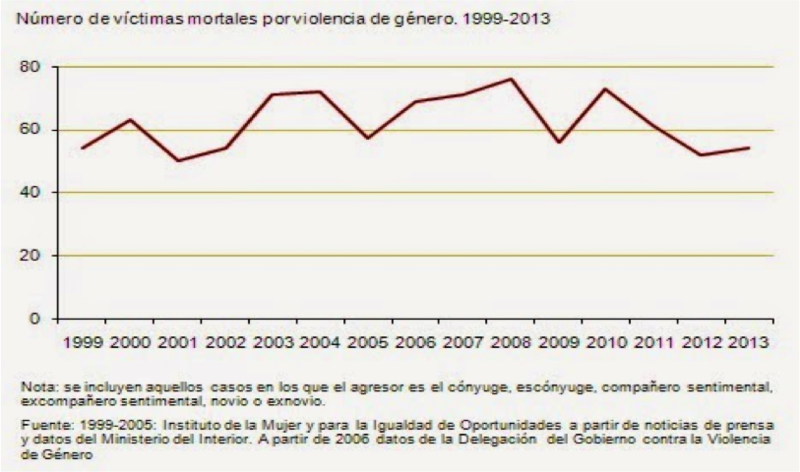 After 2007 the number of women receiving Renta Activa de Reinserción (RAI- A 426€ per month benefit during 11 months, extendable to 33 months, to every woman who reports her partner or ex partner) increased dramatically. Although the crimes and offences with a guilty verdict remained stable, the non guilty verdict ones rose dramatically. Another sign of the corruption caused by this evil incentive? It is significant that the number of reports for gender based violence has multiplied eightfold in ten years although the deaths remain stable. And furthermore, they have increased twofold from the moment when RAI started. ¿Hundreds of false reports for economic reasons? This must be investigated. Law 1/2004 constitutes a major attack against democracy since it was established ten years ago. It rends unimportant any other corruption scandal. It imprisons innocents with the aim of spreading money wrapped in gender based fanaticism stained by infamy. It de facto repeals article 14 of the Spanish Constitution and article 1 of the International Bill of Human Rights. This exception has been maintained against all odds cheating the population and making them believe gender based violence is a plague. The aggressiveness shown by groups interested in continuing with the actual corruption, the money spread to all except to real victims, the debasing of women considering them under age, has no comparison anywhere in Europe. Much of the media ought to be criticised for no rigour in publishing aimed at creating social alarm and having numerous heartless individuals living off this, debasing women, making too many children suffer and sentencing innocent fathers. Seeing our actual democracy degenerated and with no intention of rectifying its crimes, being the discredited Spanish justice an accomplice of this atrocity, it is mandatory to denounce these facts to the international public opinion with the aim of forcing the Spanish state to rectify, after trying to perpetuate these mean totalitarian and fascist illegalities that infringe equality and human rights. Por un lado, todas o casi todas las denuncias por violencia de genero son falsas, y por otro la culpa de que un hombre decida suicidarse es de su exmujer que se queda con todo tras el divorcio. Introduce tu correo electronico para suscribirte a este blog y recibir notificaciones de nuevas entradas.